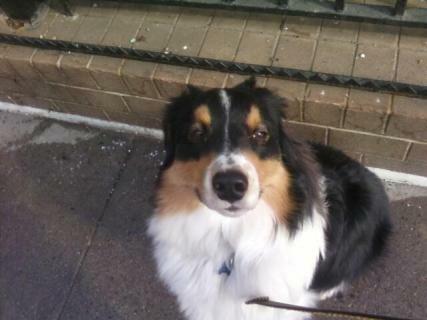 Sam the Aussie Shepherd sends his Woofs to Mom and Dad on their Vacation. It's an awesome day for a NYC Dog Walk with the It's A Dog's Life Team! Flea/tick season has arrived in the northeast. Use topical solutions to protect your pets against Lyme and other tickborn illnesses. Socialization is essential for healthy development in dogs .Take your pup along so that it can have new experiences. Allergy season is here. Bathe your allergic dog frequently to provide relief from airborne irritants. Make it fun! Its A Dogs Life NY is hiring! Bring on the Obama employer tax credits. Teach your dogs to walk in the rain to alleviate fear of weather. Wear your rain gear(you, not the dog) and make it fun! It's A Dog's Life NY client Puma Bear featured in today's NY Post. Happiness is finding fresh snow on a walk with the Its A Dogs Life Team!